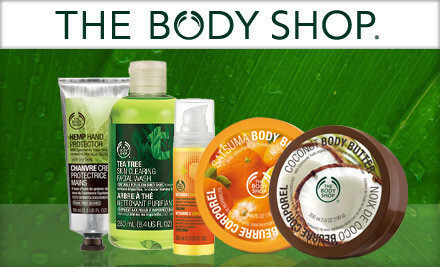 Today you can get $20 Worth of Skincare, Bath, and Beauty Products from The Body Shop for just $10. You could spoil yourself or put together a really nice Mother’s Day or End of Year Teacher’s gift. Voucher is for in store use only. Promotional value valid through June 30, 2012. See site for full details.